The 38th European Congress of the Theosophical Society in Europe takes place from 21st to 26th August 2017 in Barcelona, Spain. 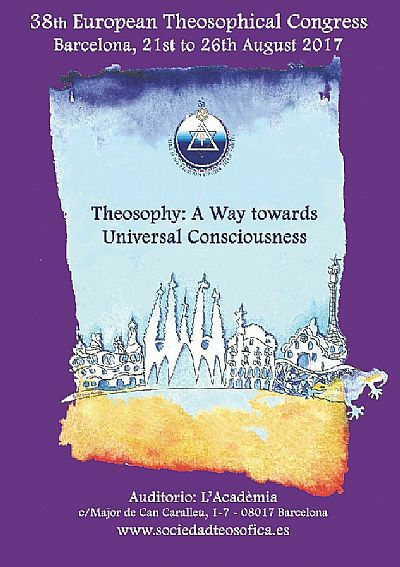 The theme of the Congress is Theosophy: A Way towards Universal Consciousness. The programme of the 38th European Congress of the Theosophical Society will be live webcasted from 22nd to 26th August 2017. The programme will be both in English and Spanish. One hour after the streaming, all videos will be available for watching.